Reforms in Bosnia and Herzegovina are essential if the country is to eventually join the European Union and NATO. 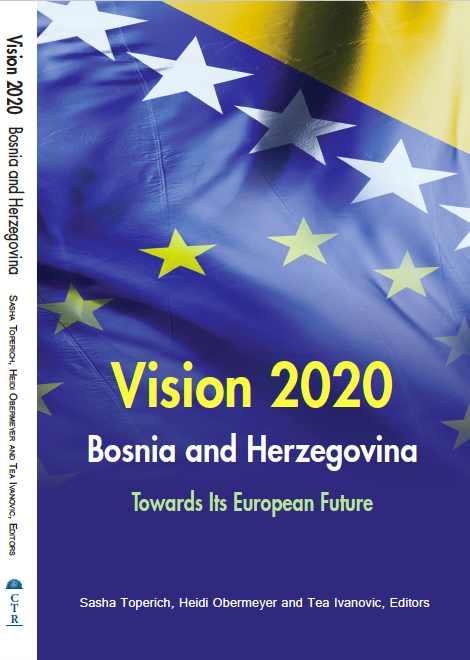 The Vision 2020 for Bosnia and Herzegovina project supports ongoing social and economic reforms needed in the country to create a better legal framework in accordance with the European Union, but also to improve the business environment and attract foreign investment. The set of already-launched reforms is comprehensive: it includes health reform, public administration reform, restructuring and privatization of state-owned enterprises, private sector growth, strengthening of the judicial system and the fight against corruption, among others. This volume addresses achievements made to date, addresses the work still to be done, and provides creative ideas on how to engage in the broader political and institutional reform necessary in Bosnia and Herzegovina.